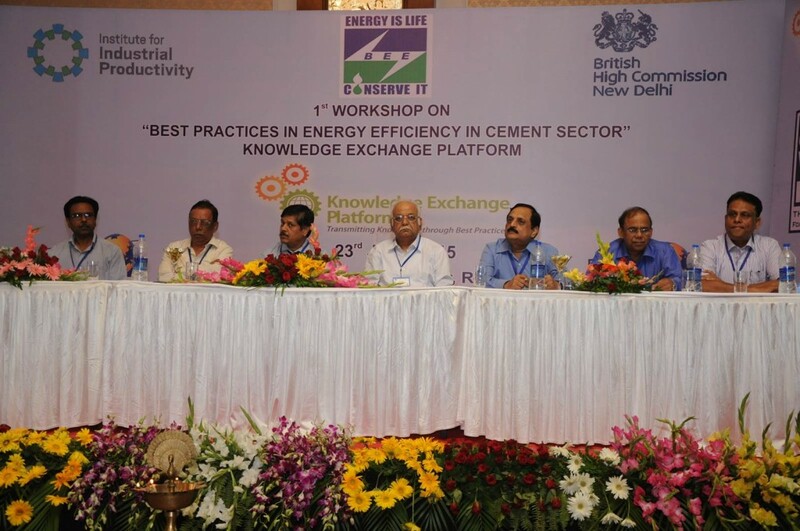 23 June, 2015, Jodhpur, Rajasthan : The 1st Cement Sector workshop under Knowledge Exchange Platform (KEP) initiative was hosted by J.K. White Cement Works, at Indana Palace, Jodhpur (Rajasthan) for exchange of best practices in cement industries covered under the Perform Achieve and Trade (PAT) scheme. PAT is a flagship initiative of Bureau of Energy Efficiency (BEE), Government of India for promoting energy efficiency in large industries. In cement sector, 85 Designated Consumers are covered under the PAT scheme where, energy savings of 0.816 million tonne of oil equivalent per year are expected to be achieved in the first cycle of PAT (2012-2015), which is around 12% of the total national energy saving targets of 6.686 million tonne of oil equivalent. The Workshop was inaugurated by Mr. B. K. Arora, President (Works), J.K. White Cement works. In his inaugural address, he highlighted the importance of best practice sharing and mentioned that “I am sure that the KEP initiative will be able to deliver significant energy efficiency benefits for the industrial sector and help sustain continuous improvement by promoting cost effective efficiency measures”. He also emphasized the need for involvement of operators and supervisors for effective adoption of energy efficiency technologies and practices. In his Welcome Address Mr. Rajeev Sharma, Vice President (Technical), J.K. White Cement Works mentioned that “there is lot of knowledge available in the cement sector and a dedicated platform like KEP is required to facilitate its sharing within and across the cement industry”. Special addresses were delivered by Mr. N. A. Viswanathan, Secretary General, Cement Manufactures’ Association and Mr. K. K. Chakarvarti, Expert Consultant, BEE. In his address Mr. Vishwanathan appreciated the KEP initiative and assured full support of CMA and Mr. Chakarvarti mentioned that the success of KEP depended on pro-active industry participation. The vote of thanks was delivered by Ms. Ritu Bharadwaj, Senior Program Manager, IIP India. On behalf of BEE and IIP, Ms. Bharadwaj conveyed her heartfelt thanks to Shri B.K. Arora, President (Works) and other officials of J.K.White Cement Works for hosting the workshop. She also conveyed her thanks to other dignitaries, speakers and delegates for their presence and participation in the workshop. The inaugural event was followed by three technical sessions and a panel discussion chaired by Sector Learning Group members. The first technical session was Chaired by Mr. K. N. Rao, Director (Energy & Environment), ACC Limited, which focused on the PAT Monitoring & Verification for Cement sector, presented by BEE and innovative best practices case studies on energy efficiency were presented by Mangalam Cement Limited, Prism Cement Limited, Vikram Cement Works, Chanda Cement Works, JK Cement Nimbahera, Narmada Cement Jafrabad Works and Heidelberg Cement India Limited. The second technical session was chaired by Mr. Rajeev Sharma, Vice President (Technical), J.K. White Cement Works, which had presentations on impacts and benefits achieved by the industry from implementation of ISO 50001. 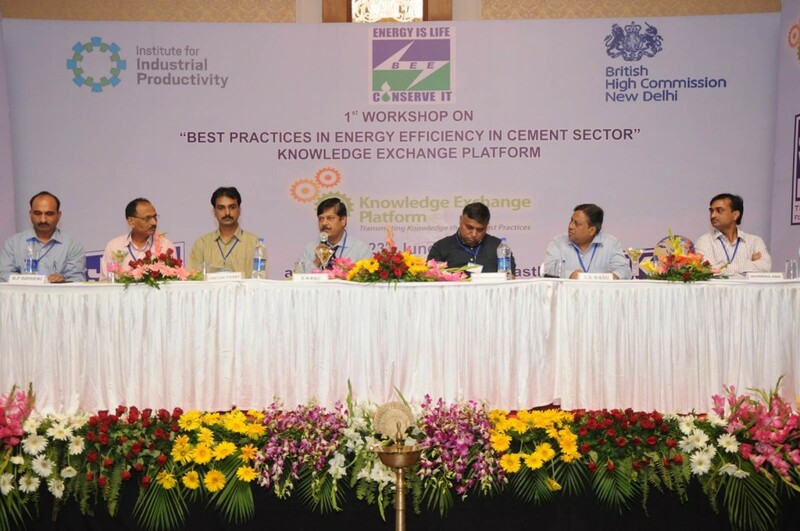 The session had presentations from J.K. White Cement Works, Dalmia Cement (Bharat) Limited, Ambuja Cement Limited, Hirmi Cement Works, Chettinad Cement Corporation Limited and Gujarat Cement Works. 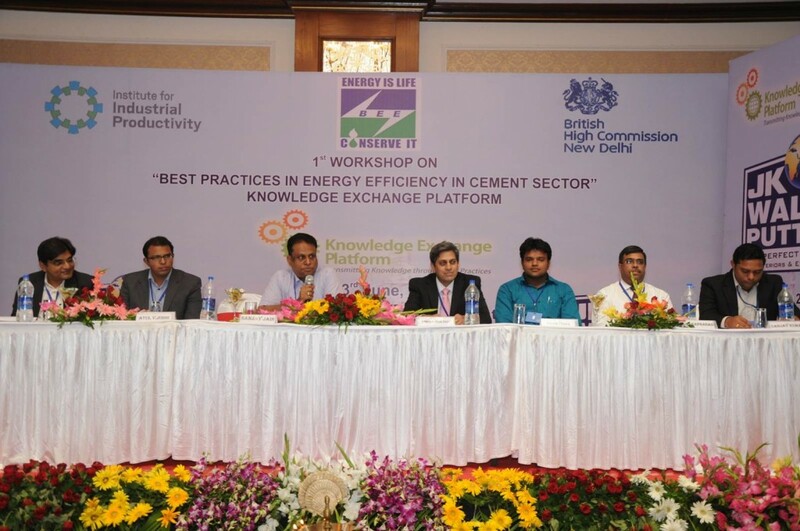 The third technical session focused on energy efficient technologies and was chaired by Mr. Sanjay Jain, Asstt. Executive Director, Dalmia Cement (Bharat) Limited. 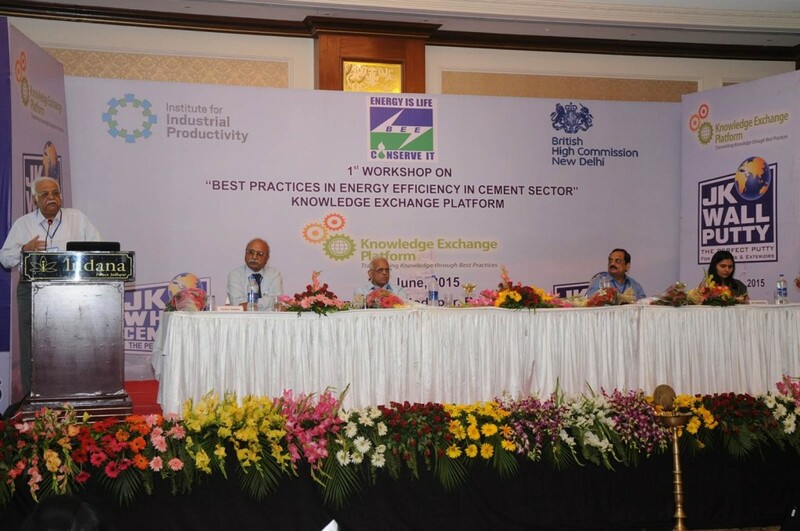 The session had presentations from leading technology providers in cement sector viz. HGH Systemes Infrarouges, AMCL Machinery Limited, IKN India, FLSmidth Private Limited, Mechwell Industries Limited and Crompton Greaves Limited. Technical sessions was followed by a panel discussion on future strategies to be adopted and need for promoting innovative, new and cutting edge technologies and cross-sectoral best practices. The panelists were the members of Sector Learning Group. 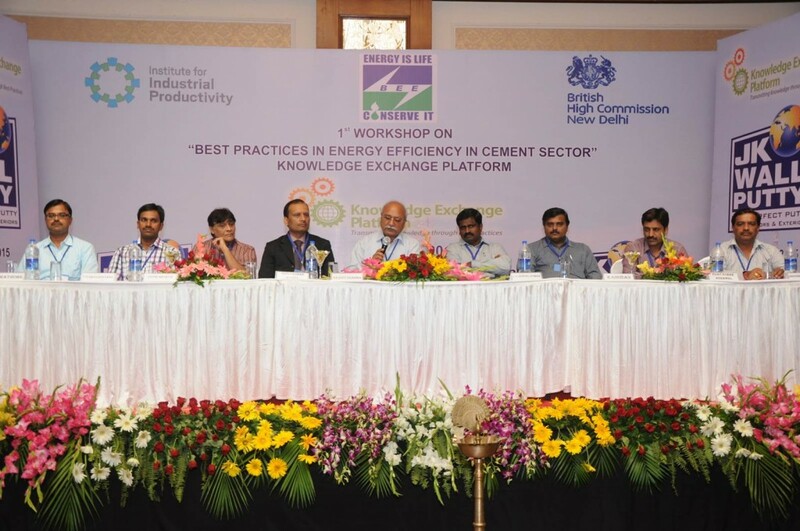 The panelist concluded that KEP can play an important role in facilitating policy discussions around PAT, particularly, as it is moving in to the next cycle where the cement industry is expected to have new targets and more plants are expected to come under the ambit of PAT. Panelist also felt that KEP will be in a position to assist the industries to meet the new targets by bringing in international best practices and technologies and also promoting cross sectoral exchange of best practices, in particular, from thermal, pulp & paper and aluminium sectors. The workshop was also instrumental in formulating teams for Friendly Energy Efficiency Exchange Visits under which one plant’s official will visit the other plant and share their experiences. ACC Limited announced that all 16 plants of their group will participate in this friendly exchange visits and also offered to support 2nd Cement sector Workshop at ACC, Chanda Plant (Maharashtra) for sharing of best practices. Similar offer was also conveyed by Dalmia Bharat Cement and My Home Industries Limited to hold Cement Workshop to cover cement industries in the Southern part of India. 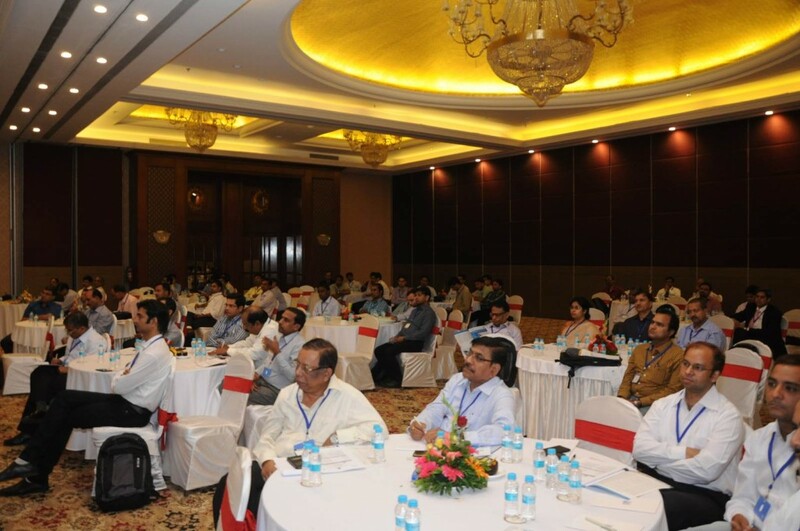 The workshop had participation from over 150 eminent cement industry leaders, Industry Association, distinguished speakers, energy managers and auditors, and senior industry professionals amongst many others.